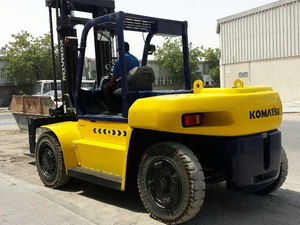 4155800 FD100NT-5 KOMATSU FD100NT-5 Diesel forklift. Spare parts catalog. Service Manual. 4155801 FD100T-5 KOMATSU FD100T-5 Diesel forklift. Spare parts catalog. Service Manual. 4155802 FD100T-6 KOMATSU FD100T-6 Diesel forklift. Spare parts catalog. Service Manual. 4155803 FD100T-7 KOMATSU FD100T-7 Diesel forklift. Spare parts catalog. Service Manual. 4155804 FD100T-8 KOMATSU FD100T-8 Diesel forklift. Spare parts catalog. Service Manual. 4155805 FD115NT-5 KOMATSU FD115NT-5 Diesel forklift. Spare parts catalog. Service Manual. 4155806 FD115T-5 KOMATSU FD115T-5 Diesel forklift. Spare parts catalog. Service Manual. 4155807 FD115T-6 KOMATSU FD115T-6 Diesel forklift. Spare parts catalog. Service Manual. 4155808 FD115T-7 KOMATSU FD115T-7 Diesel forklift. Spare parts catalog. Service Manual. 4155809 FD115T-8 KOMATSU FD115T-8 Diesel forklift. Spare parts catalog. Service Manual. 4155810 FD120T-8 KOMATSU FD120T-8 Diesel forklift. Spare parts catalog. Service Manual. 4155811 FD135NT-5 KOMATSU FD135NT-5 Diesel forklift. Spare parts catalog. Service Manual. 4155812 FD135T-5 KOMATSU FD135T-5 Diesel forklift. Spare parts catalog. Service Manual. 4155813 FD135-6 KOMATSU FD135-6 Diesel forklift. Spare parts catalog. Service Manual. 4155814 FD135T-6 KOMATSU FD135T-6 Diesel forklift. Spare parts catalog. Service Manual. 4155815 FD135-7 KOMATSU FD135-7 Diesel forklift. Spare parts catalog. Service Manual. 4155816 FD135T-7 KOMATSU FD135T-7 Diesel forklift. Spare parts catalog. Service Manual. 4155817 FD135-8 KOMATSU FD135-8 Diesel forklift. Spare parts catalog. Service Manual. 4155818 FD135T-8 KOMATSU FD135T-8 Diesel forklift. Spare parts catalog. Service Manual. 4155819 FD150ENT-5 KOMATSU FD150ENT-5 Diesel forklift. Spare parts catalog. Service Manual. 4155820 FD150ET-5 KOMATSU FD150ET-5 Diesel forklift. Spare parts catalog. Service Manual. 4155821 FD150-6 KOMATSU FD150-6 Diesel forklift. Spare parts catalog. Service Manual. 4155822 FD150E-6 KOMATSU FD150E-6 Diesel forklift. Spare parts catalog. Service Manual. 4155823 FD150ET-6 KOMATSU FD150ET-6 Diesel forklift. Spare parts catalog. Service Manual. 4155824 FD150E-7 KOMATSU FD150E-7 Diesel forklift. Spare parts catalog. Service Manual. 4155825 FD150ET-7 KOMATSU FD150ET-7 Diesel forklift. Spare parts catalog. Service Manual. 4155826 FD150E-8 KOMATSU FD150E-8 Diesel forklift. Spare parts catalog. Service Manual. 4155827 FD150ET-8 KOMATSU FD150ET-8 Diesel forklift. Spare parts catalog. Service Manual. 4155828 FD160E-6 KOMATSU FD160E-6 Diesel forklift. Spare parts catalog. Service Manual. 4155829 FD160ET-6 KOMATSU FD160ET-6 Diesel forklift. Spare parts catalog. Service Manual. 4155830 FD160E-7 KOMATSU FD160E-7 Diesel forklift. Spare parts catalog. Service Manual. 4155831 FD160ET-7 KOMATSU FD160ET-7 Diesel forklift. Spare parts catalog. Service Manual. 4155832 FD160E-8 KOMATSU FD160E-8 Diesel forklift. Spare parts catalog. Service Manual. 4155833 FD160ET-8 KOMATSU FD160ET-8 Diesel forklift. Spare parts catalog. Service Manual. 4155834 FD180-6 KOMATSU FD180-6 Diesel forklift. Spare parts catalog. Service Manual. 4155835 FD200-6 KOMATSU FD200-6 Diesel forklift. Spare parts catalog. Service Manual. 4155836 FD200T-6 KOMATSU FD200T-6 Diesel forklift. Spare parts catalog. Service Manual. 4155837 FD200Z-6 KOMATSU FD200Z-6 Diesel forklift. Spare parts catalog. Service Manual. 4155838 FD240-6 KOMATSU FD240-6 Diesel forklift. Spare parts catalog. Service Manual. 4155839 FD250-6 KOMATSU FD250-6 Diesel forklift. Spare parts catalog. Service Manual. 4155840 FD250Z-6 KOMATSU FD250Z-6 Diesel forklift. Spare parts catalog. Service Manual. 4155841 FD250-7 KOMATSU FD250-7 Diesel forklift. Spare parts catalog. Service Manual. 4155842 FD400-2 KOMATSU FD400-2 Diesel forklift. Spare parts catalog. Service Manual. 4155843 FD430-2 KOMATSU FD430-2 Diesel forklift. Spare parts catalog. Service Manual.